MSM is a naturally-occurring form of dietary sulfur found in fresh, raw foods and rain water. 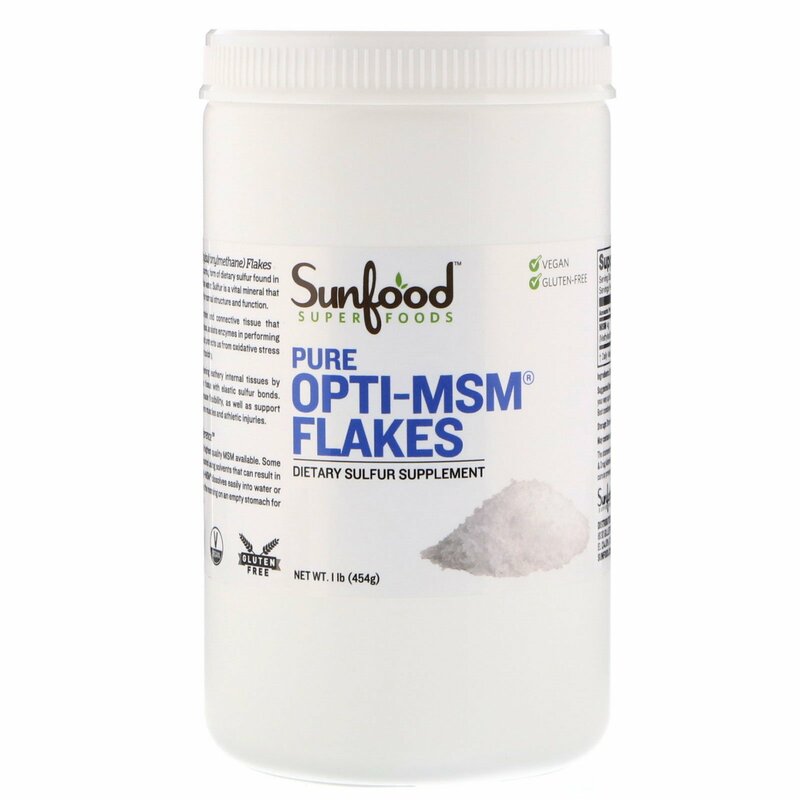 Sulfur is a vital mineral that is needed by the body for normal structure and function. 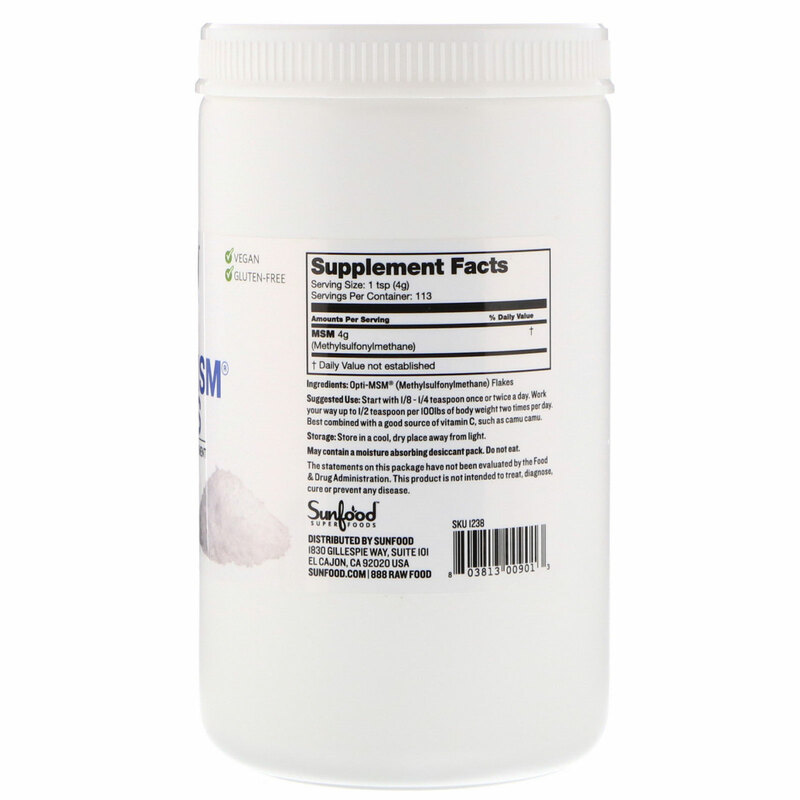 It makes up the protein and connective tissue that comprises our body mass, assists enzymes in performing chemical reactions, and protects us from oxidative stress and harmful effects of toxicity. MSM can aid in softening leathery internal tissues by rebuilding connective tissue with elastic sulfur bonds. It may also help increase flexibility, as well as support recovery time from sore muscle and athletic injuries. Our Opti-MSM is the highest quality MSM available. Some low quality MSM is created using solvents that can result in toxic byproducts. Opti-MSM dissolves easily into water or juice. It is best taken in the morning on an empty stomach for maximum absorption. Start with 1/8-1/4 teaspoon once or twice a day. Work your way up to 1/2 teaspoon per 100 lbs of body weight two times per day. Best combined with a good source of vitamin C, such as camu camu. May contain a moisture absorbing desiccant pack. Do not eat.